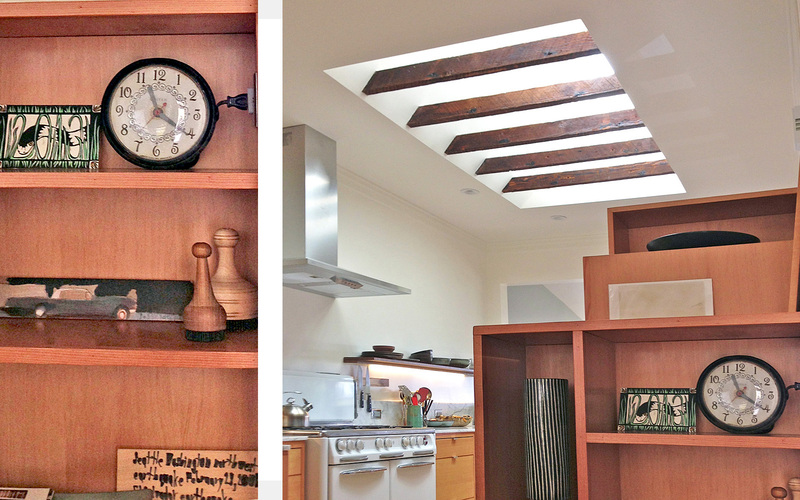 A dark interior kitchen is warmed by a new skylight and new vertical grain fir cabinetry. Ceiling and roof framing remain unchanged, baffling light from the skylight above and honoring the handiwork of a carpenter 100 years earlier. 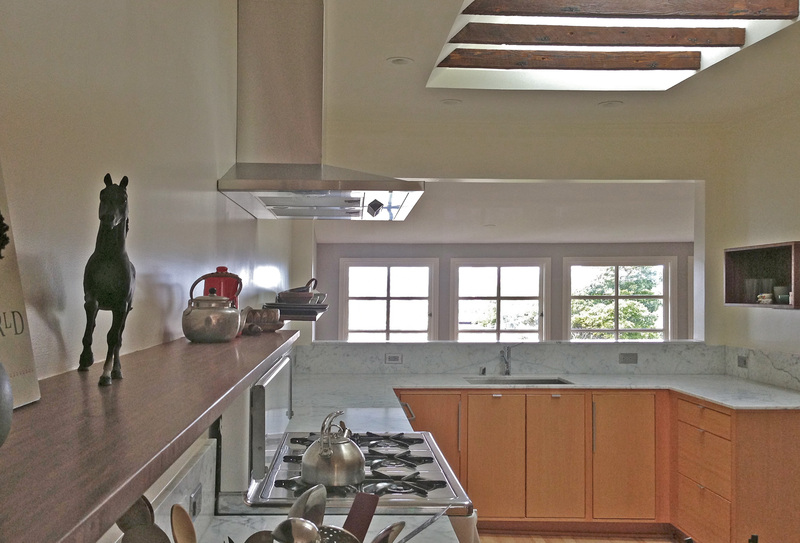 The skylight centers the kitchen, providing a bright central focus in an existing long living/kitchen/dining space. A sturdy wedgewood oven stands below a shiny new ventilation hood beyond. The client’s love of simplicity envisioned a collection of boxes both closed for kitchen use and open for display. The boxes display a curated collection with a poet’s sensibility.